Panel at Swecon 2015 – Confuse i Linköping. A discussion about the differences and similarities of storytelling and of telling stories in books, games, comics and TV. 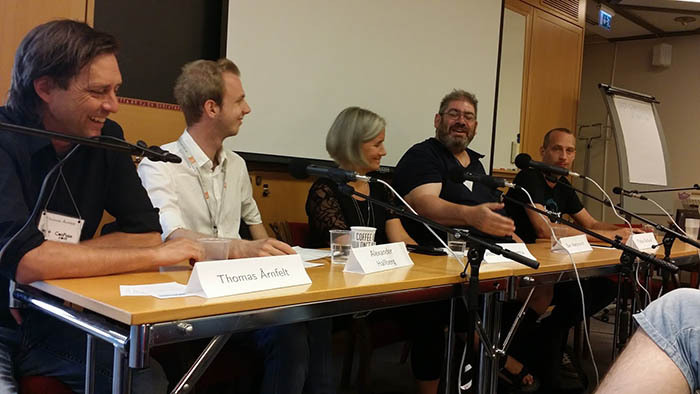 Participants: Ben Aaronovitch, Alexander Hallberg, Thomas Årnfelt, Tobias Bodlund and moderated by Jessica Elgenstierna.